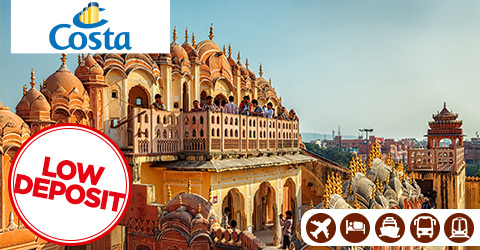 Are you ready to immerse yourself in one of the most diverse continents in the world? Asia is a beautiful tapestry of rich cultures, deep histories, modern progress and spirituality. 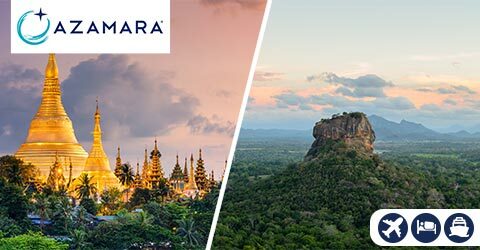 With our cruise holidays, you'll get a taste of destinations around Asia (and their iconic cuisines too!). You'll marvel at the many natural wonders and cultural treasures as you journey through ancient lands and futuristic cities. 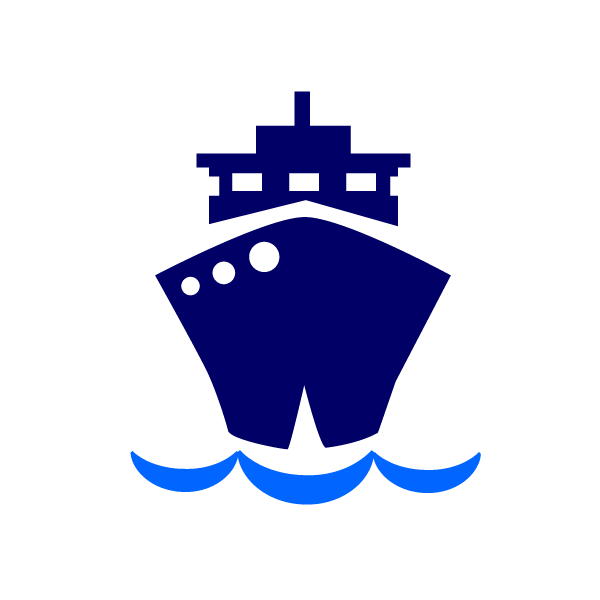 There are hundreds of cruise itineraries to choose from, so you can pick the perfect cruise deal to match your interests and energy levels. 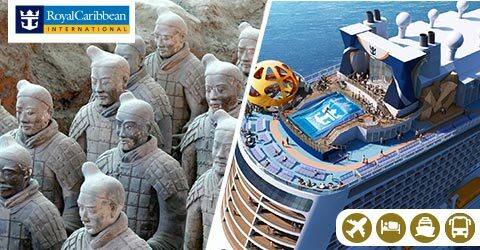 Whether you want to see the celestial ceilings of the Temple of Heaven in China or dip your toes into the azure waters of Nha Trang in Vietnam, you can tailor your cruise experience with our extensive selection of great value Asian tour options and shore excursions. 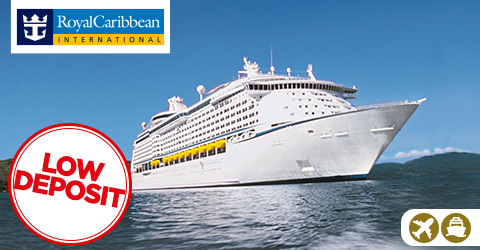 SAVE UP TO $713 PER PERSON - Luxury Cruise Sale now on! 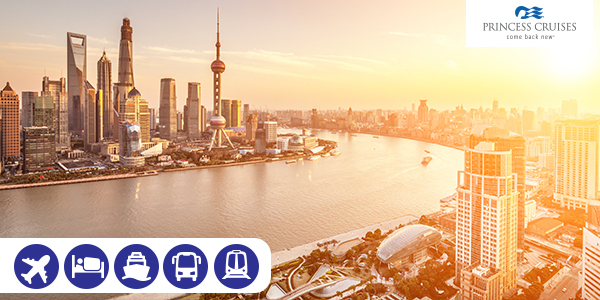 Tour highlights include Tiananmen Square, Great Wall of China, Beijing Zoo, Bullet Trains and much much more. Immerse yourself in Chinese culture with a 9-night pre-cruise escorted China tour including highlights Terracotta Warriors, High speed train, The Great Wall and more! 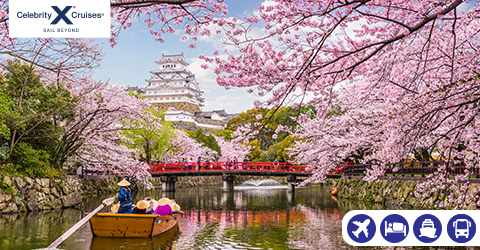 Immerse in the timeless appeal of Japan and Taiwan where no two experiences are ever the same on this 11-night cruise holiday! 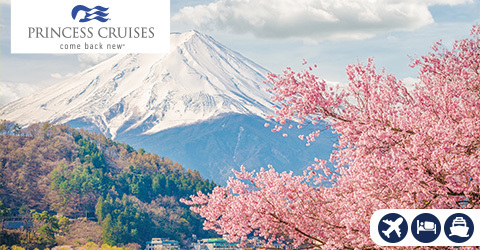 Cruise onboard Diamond Princess and experience Japanese culture like a true local with authentic Japanese meals, state-of-the-art theatre displays and even a Izumi Japanese Bath. 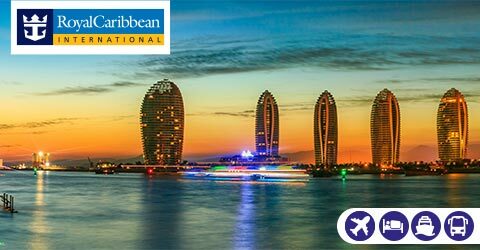 BRAND NEW HAINAN ISLAND CHINA TOUR! 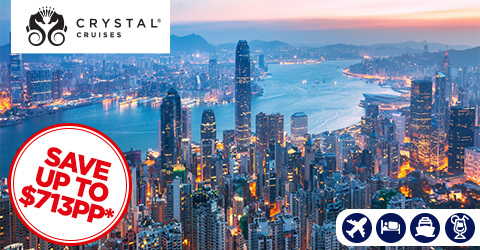 BRAND NEW China cruise and tour package from $2899pp! Tour highlights: The Great Wall of China, Hainan Island, The Forbidden City, Tiananmen Square, high speed train journey, boat ride on West Lake and so much more! With so much to explore and experience - there will be no dull moments as you traverse this intriguing continent. 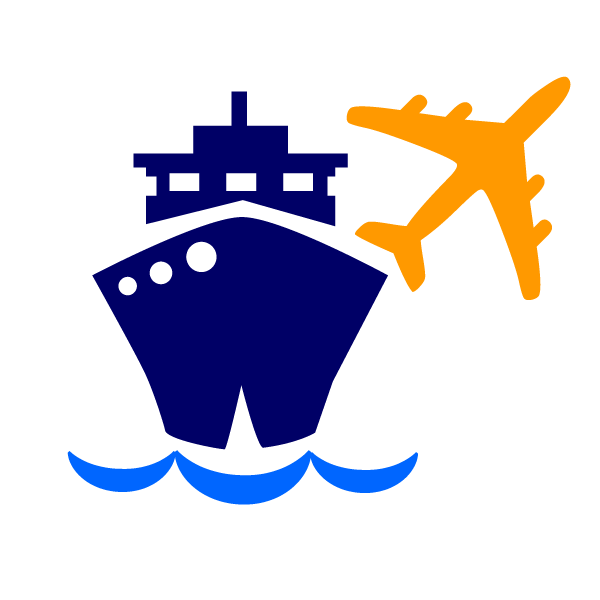 Even travelling between destinations is exciting when you are on a cruise ship! We offer an array of cruises with the world's top cruise lines, which means you amazing itineraries as you travel. 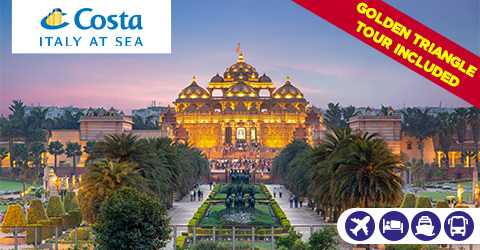 You could come back onboard after a day of exploring temples to partake in onboard yoga for the ultimate spiritual journey. If you're still buzzing from the thrilling cities - why not ride an onboard hydroslide? 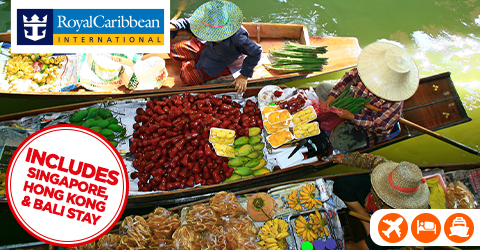 Can't get enough of the Asian cuisine - there are plenty of options for that onboard too! Start the search for your perfect cruise today using our online search tool to the left. 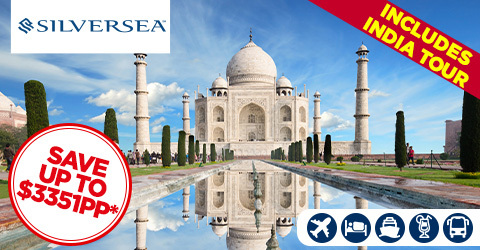 Alternatively, take a look at a choice selection of our Asia cruise deals below. 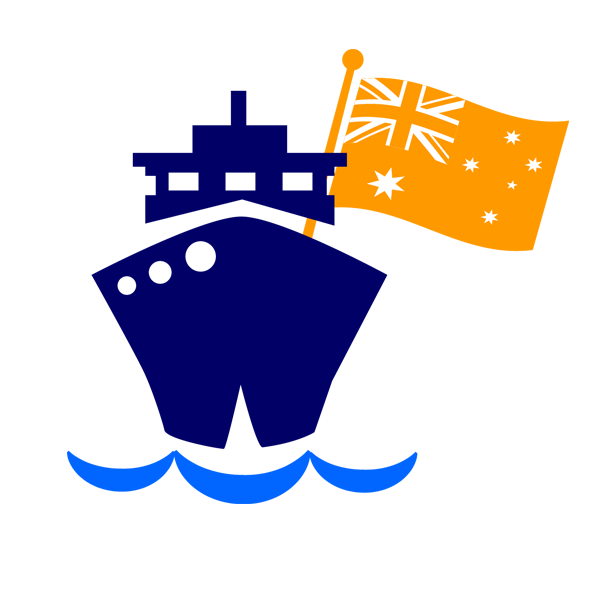 Remember, we have plenty more routes and dates available, so don’t hesitate to give our Cruise1st Specialists a call if you need help finding your dream cruise.